Ever watch a film and you can't remember it for years and then all of a sudden you stumble upon it once again? I first watched this film on VHS after having one too many drinks, I got it from a video rental shop and then it disappeared for years and I had blurry memories of killer slugs and bloody deaths and I couldn't remember what it was for a long time. After a long time a friend of mine was telling me about this crazy film he watched and lent it to me, I had finally found the film I had these memories of and had the chance to finally remember what I'd seen. 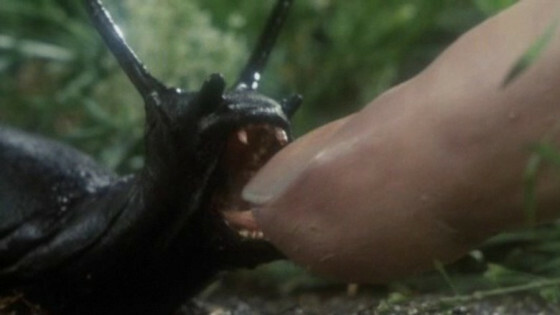 Obviously a film about killer slugs isn't exactly going to sweep the Oscars but it's just so much fun, I'm talking 80's trash fun and is there really anything better than that? 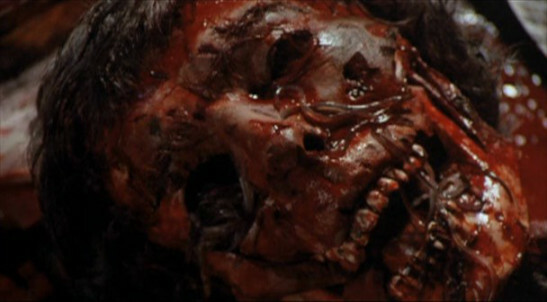 Plus it has some amazing death scenes. Believe it or not this film is based on a book of the same name by an author called Shaun Hutson, I haven't read the book but it has been added to my 'Must Read' list. 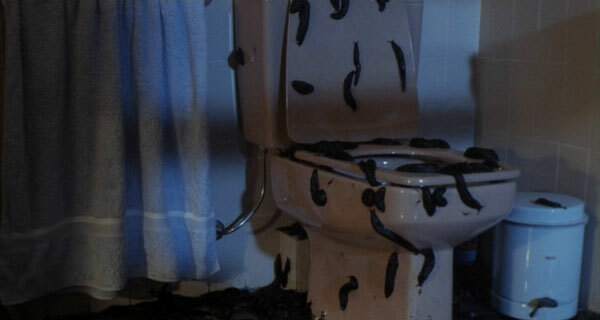 "Slugs" is a film that's meant to be enjoyed for what it is, just switch off and enjoy.